Selling DreamScape quads http://prnt.sc/eb92yn Yes , it's and old photo. 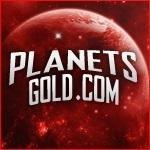 www.PLANETSGOLD.com ! CHEAPEST GOLDSHOP ! Current Selling price :2.05$ / B ! DISCOUNT FOR BULK ! !Discount for Rs07 Payments! !ALSO SWAPPING FOR RSGOLD ! Contact : Skype [Live:Planetsgoldsales] Website : www.PlanetsGold.com I'll be using a middleman for first 10 trades :) 24/7 active website Instant service Best rate Term Of Service You are not osscape staff and are not acting on the behalf of osscape Staff. The gold you are buying has been obtained legitimately. I am not responsible for an punishments/bans that may occur during or after the trade. You are responsible for the osscape gold as soon as you obtain possession of it. Buying Pkhonor Gold or Items! Hey everyone! I have about 200b on pkhonor for sale. Looking for bulk deals only (30-40b minimum). Message me on Skype if you're interested: (removed to avoid scamming) I never go first, so be prepared to go first before messaging me! Price is firm at $0.60, no matter the amount. Thanks, talk to you soon :). I am looking to sell around 30b of ikov gp. Post your skype and offers below. Title says it all, I'll be selling Frost Dragon Bot ready accounts for Ikov. Looking to start a gold farm? Save yourself some time. I will try to keep a consistent stock of these accounts. I'm only accepting Ikov GP. Accounts will be created with the following stats: 99 Hitpoints, Attack, Strength, Defence 43 Prayer 100 Dungeoneering Dungeoneering tokens from 100 dungeoneering will remain on the account. It is up to you what you decide to do with them. These accounts will NOT have any other items, if you have a gear request or any others these can be talked about via Skype. PRICE: 750m - 1B Ikov GP EACH (Depending on # of accounts) Current Stock: 9 If the accounts required are not created at the time you are looking to purchase, I will do my best to have them ready within 24 hours :) ORDER FORM: T.O.S. I am leaving ikov, i have 70b in cash, and a black partyhat. I am very honest, and i will sell these at $1,90 per 1 Bil. Black partyhat i want $275.5 If you want to buy all, it comes to $400 (discounted) Add my skype: Wadsy7. We can start with small trades but i assure you, you will get what you pay for 100% trustworthy.